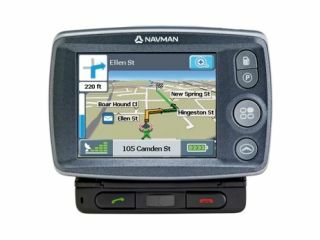 Building on the success it had with its F20 sat-nav, Navman is making four new additions to its Freedom range. For the first time, Navman sat-nav users can choose between four flexible new packages that satisfy different user needs, while delivering the standard navigation essentials you would normally expect. A new TMC real-time traffic package, with no ongoing subscription or GPRS costs, is also available via a clip-on accessory and can easily be transferred to a second Navman device. To complete the options, there's even a new European version of the F20, with comprehensive mapping for 21 Western European countries and safety camera data covering 7 countries. The brand new F30 enhances the F20 with a real-time TMC traffic module, offering complete subscription free traffic information. Up from that comes the F40 Europe, which enhances the F20 standard still further with European maps and Bluetooth hands-free functionality. The F40 works with all Bluetooth compatible phones and can be paired with up to five different phones at any one time. This means no re-programming of settings. Plus, the on-screen caller display allows users to safely see exactly who is calling them. And finally, the new F50 comes with Bluetooth hands-free calling and real-time TMC traffic information. Not only can drivers be re-directed if there is traffic trouble ahead on route, but they'll be able to use the F50 to make a hands-free call to let others know they've taken a detour.